A few weeks ago, a million dollars in US currency wrapped in a Paraguayan bank seal was dropped from a low flying plane in the Santa Cruz region of Bolivia. The drop was observed by Bolivian Narcotics officers who seized the money, followed the plane and arrested three Bolivian citizens. This story itself is entertaining, but from an economic stand point, it really has potential. Economists use the analogy of dropping money from a plane to model expansionary monetary policy in certain situations. Perhaps the three Bolivians who were arrested were actually undercover economists running a live experiment on the effects of cash infusions into society. Bolivia is one of the poorest countries in the western hemisphere with an annual GDP per capita of US$2,576. By contrast the United States has a GDP per capita of US$49,965. For comparison sake a $1 million windfall in Bolivia is roughly the equivalent of $20 million in the United States. In Santa Cruz, the average monthly rent for a one bedroom apartment is $350, thus a person could rent out a flat for the next 238 years. Given that life expectancy in Bolivia is around 66 years, you could house your family for the next nine to ten generations (generations are equivalent to roughly 25 years). The cost of beer is roughly $3 per liter in a pub so you could invite 333,000 of your closest friends for a pint. Or if you wanted to go shopping, you could buy 10,000 dresses (Note to self, start importing dresses to Bolivia). The point is that a million dollars in Bolivia goes a long way. However I suspect the government can make that money go even further. Apparently to outer space. 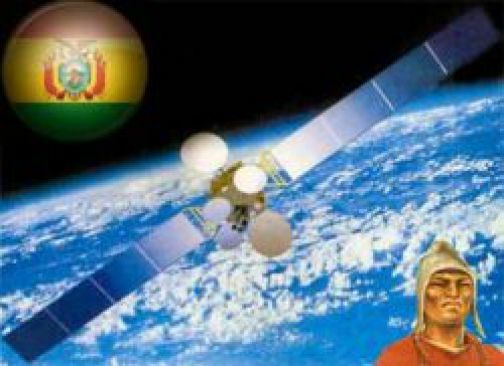 The Bolivian government has announced that in December with the assistance of China, they will launch their first satellite. A satellite, mind you, that was in part assembled in Bolivia. Yes, the antennas for the Tupac Katari satellite were installed in La Paz. Once launched, this satellite will expand television, internet and mobile telephone services from its orbit 22,000 miles up, and has a life expectancy of 15 years. This will be a real boon for the Bolivians living in the remotest parts of the country. As soon as they get electricity (hopefully within the next 15 years) they will be able to connect to the internet with their tablets and smart phones. Perhaps they may even be able to read the newspapers that Ecuadorian President Rafael Correa says will be strictly on line. Whatever the advantages of launching the Tupac and Biggy satellite, it seems a bit premature. 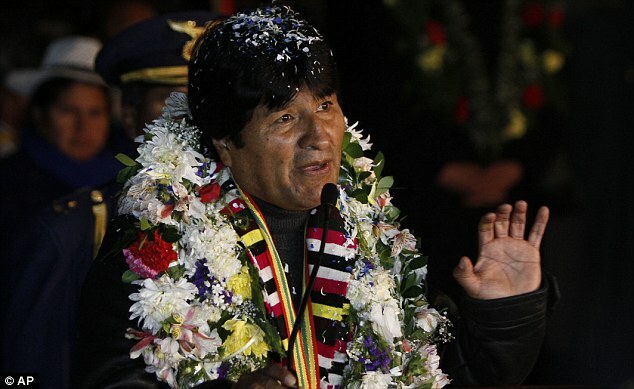 Bolivia has so many problems on earth it is hard to understand why they are looking to the heavens for answers. Granted the $300 million satellite is financed almost completely by the Chinese development bank and it is just one of many investments China is making in Bolivia and throughout Latin America, but it seems rather superfluous like putting a $10,000 stereo system into a Ford Pinto. Which leads to the question, if money is seemingly falling from the sky in Bolivia, does it really make sense to send it back up there? This entry was posted in Andean Region and tagged bolivia, Bolivia Million Dollars fall, Bolivia satellite, bolivia space shuttle, Tupac Katari satellite. Bookmark the permalink.